The second great thing about accent lighting is that there are practical reasons to use it. Accent lamps bring light to a specific place. You can bring light where it is needed; that is, to a workspace, or a reading corner and focus the light on a particular area or object. 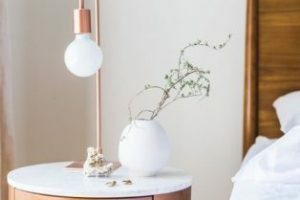 Even if the accent lamp is not used to illuminate a work space, it can still focus attention on a work of art, such as with a lamp that sits above a painting to shine light onto the artwork, or inside a curio or artifact cabinet, thereby creating a source of visual interest and calling attention to the things you love in your home. In addition, an accent lamp can be the work of art. Some lamps are prized just for that, such as the famous Tiffany Lamps (their beautiful, stained glass art nouveau shades are said to have been in style for over 100 years!) or if that’s a bit much, lamps from the Hubbardton Forge collection will also be a talking point. Accent lamps can be many different things. They can be used on the floor to light the way down the stairs or into a dark theater, or even out to the garage or garden in the night. They can be desk lamps, but also wall sconces, flood lights, or track lighting in the bathroom. An accent lamp accents, providing light where it is needed for a short period of time, and are a great alternative to overhead lighting for creating atmosphere. The reason that these beautiful, versatile lights are so necessary to the home is because they are portable. A source of light that is portable is one of the best ways to light the home because sometimes, a pendant light or a chandelier is just too permanent. As you remodel, redecorate, or just move the furniture around for a change of pace, accent lamps can be moved as well. Accent lights are also not permanent, so they are easy to change or replace when you want. You want light is where you need it and focused on a specific area for a specific purpose. Options like shade shapes and colors, and bulb types and colors allow you to completely customize any nook in your home. Accent lamps are beautiful, practical and versatile. If you are not sure what kind of lamps you want, browse the selection at Crescent Harbor where you’ll not only find a wealth of ideas, but also some suggestions as to how to decorate with accent lamps.